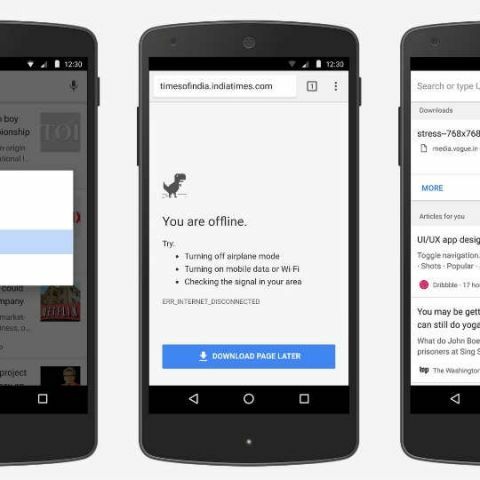 While the Google Chrome browser added the the ability to read web pages without an internet connection last year, the company has now made it easier to download web pages and read them offline on the fly. 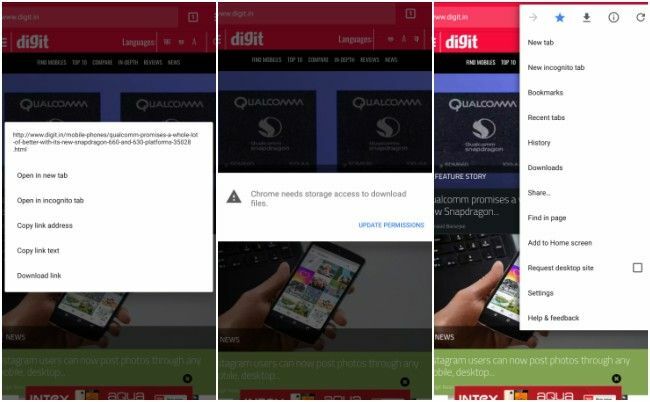 Users can now long-press any link on the Google Chrome browser for Android to bring up the ‘download link’ option. Pressing it will download and save web pages for offline viewing. The option is also available for any article suggestion. Users need to tap and hold on article suggestions to download links to the same. In addition, when users try to access a page with no network connectivity, the Dinosaur page that usually appears in offline mode will show a button called “Download Page Later.” Once clicked, the particular web page will be saved as soon as the device connects to the internet. Saved articles then show up in the recent downloads and feature a new offline badge. To use the new function, users need to ensure they have the latest Chrome browser 58 for Android and that they have given Chrome permissions to save stuff on their devices. Which is the programming language for writing google pages? Which is the best app for chrome browser?